Imagori is the first collaborative recording from musical trailblazers Hans-Joachim Roedelius (of Cluster, Harmonia et al.) and Christoph H. Müller (Gotan Project et al.). Electronic beats, buoyant piano melodies, percussive elements: an album with atmospheric density that is warm and harmonious throughout – although it thrives on clear contrasts. 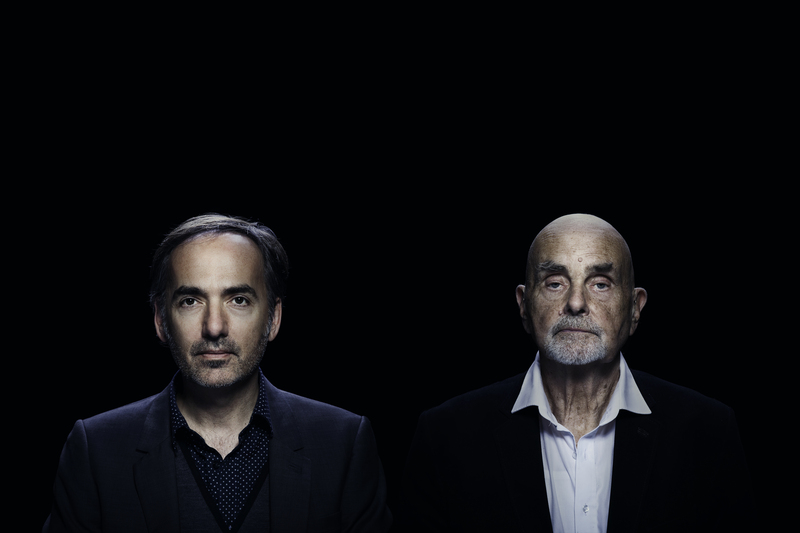 Christoph H. Müller and Hans-Joachim Roedelius are two legendary musicians who are separated by over a generation and a half. Both share a desire to discover, to break through established patterns of thinking and listening – yet they are soundsmiths with completely different natures: Roedelius, as a pioneer of experimental electronic music and a member of Cluster and Harmonia, two trend-setting band projects of the 1970s; Müller, as a composer, producer and soundtrack artist who entered the charts in the late 1980s with the electropop group Touch el Arab and who later shifted his focus to South American roots music and played a significant role in moving the world music genre in an innovative and future-oriented direction with projects like Plaza Francia and the electronic tango of Gotan Project. Born in 1934 in Berlin, Roedelius is considered one of the most influential German musicians of the postmodern era, a co-inventor of electronic music in general and of ambient music in particular. For the most part, Hans-Joachim Roedelius’s music eschews traditional song structures and pushes boundaries in the most positive sense – and it was that way from the outset, all the way back to his days in Berlin’s Zodiak Free Arts Lab at the end of the 1960s. Along with Dieter Moebius and Michael Rother of Neu!, Hans-Joachim Roedelius paved the way for a brand of music initially termed “krautrock” that would later go down in music history as electronic music. They made songs that lived from moods and sounds, with no genuine beginnings or clear endings – more tracks than songs. He worked with Brian Eno on the classic and still extremely modern album After the Heat (Cluster, 1978); later, he enjoyed solo success with albums such as Jardin au Fou (1979). Today, Roedelius’s main focus lies in piano music, yet discovering and defining sounds and noises – whether created by the piano or electronic devices – continues to be a key musical leitmotif for the 80-year-old who now calls Lower Austria home. The music of Christoph H. Müller is unimaginable without electronic elements and beats as well, yet his music is much more clearly entrenched in formal song structures. The composer and producer grew up in Switzerland and has lived in Paris for nearly a quarter of a century. He works with a wide array of musicians – from Argentinian tango artists to American bands like Calexico. His music is a fusion of incomparable beauty, evidenced in such projects as Radiokijada, which employs electronic sounds to give percussion heavy Afro-Peruvian music a modern facelift. Conny Plank, the most influential producer of nearly every 1970s krautrock band, is a major inspiration for Müller even today. 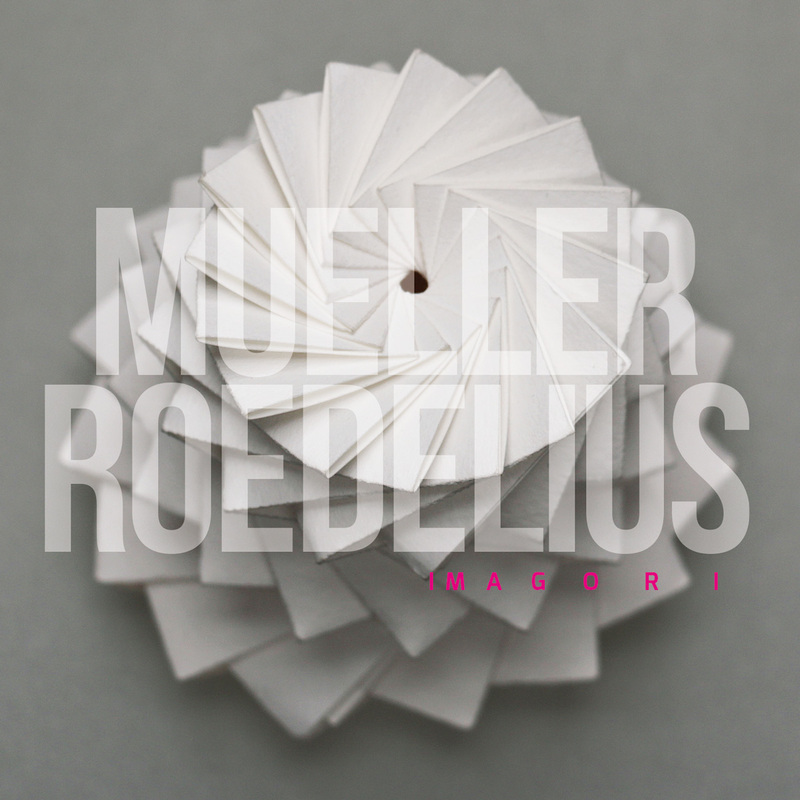 The collaboration between Roedelius and Müller arose after they played a series of concerts together in Paris in 2012 where they mainly put on improvised performances based on Roedelius’s “paper” compositions. With Imagori, these two artists have created an album that adds a completely new chapter to their musical oeuvres. It is by no means a typical Christoph H. Müller album – and neither is it quintessential Roedelius music. For Müller, Imagori is a return to his roots as an arranger of beats and electronic music composer. With this album, Roedelius reaches a momentary pinnacle in his impressive list of late works, which have become ever more complex and exciting in recent years. After collaborations with Lloyd Cole and Stefan Schneider and concert series with Jean-Benoit Dunckel (Air) and Christopher James Chaplin, Imagori captivates us with its audacious push towards accessibility. The album grew from short piano pieces and rhythmic experiments that originated from Roedelius’s archives. From there, the musicians worked continuously to create new compositions. They are astonishing pieces with remarkable structural form; as a work of origami, the next sound or element of each track often produces an utterly novel (sound) pattern. For example, the unique downbeat sounds of the track “Origami” are reminiscent of gems like “Atmosphere” from the album Harmonia & Eno ’76 Tracks and Traces. Like a welcome spirit, Brian Eno crops up with a spoken-word cameo on the track “About Tape”. “Himmel über Lima” draws inspiration from a ¾ Afro-Peruvian waltz rhythm, only to harmoniously work its way through a rhythmic shift that culminates in an almost classic Roedelius ambient sound. Beat-oriented compositions meet melodic improvisations. The articulation often revels in simultaneous legato and staccato elements; Müller’s beats create a framework with a straight-out pumping downbeat groove, while Roedelius’s piano somnambulistically moves through the tracks. The upshot is an album that comes across as self-contained and pleasantly cohesive – each and every second is enthralling!